There was a time when the slightest thing made me cry. An old man eating alone in a greasy spoon. A crushed snail. A crisp advert. That Extreme song played to death in the 90s where one dude sings low and the other dude sings high and there’s no drums. I was a wailer; my tear glands prolific, my ducts Niagaran ravines. I had a promiscuous humanity that didn’t discern much between true global tragedy and a dead bee. I’m surprised I didn’t get punched more. As you get older, and life gets real, you start to realise you can’t well up every time something is a bit moving. With maturity you begin to realise that your tears don’t do anyone any good, that they are unproductive, and actually, in certain situations, insulting and inappropriate. You learn to hold in the tears. You grow up. Eventually you find your eyeballs can remain dry through moving film denouements and sometimes even people dying. Realising that most of the processes of sadness actually happen inside, you start keeping it all in there for good measure. Like an eerily quiet smokeless factory. Then every now and then you find yourself watching X Factor with a fat glass of Chenin Blanc and you forget all that tasteful restraint you’ve scaffolded around yourself. You watch a lady in her 40s weeping because the next song is her last chance to do anything with her dreams, and you erupt. You weep for her life, her kids, and the mascara goo wibbling in her eye. I did just that the other day. I caught an episode of X Factor and a bird started crying and that’s it, I was off. It helped that she was a good singer. There isn’t time to cry over the bad ones. The editing doesn’t let you. I blubbed, then watched another episode and blubbed again. I enjoyed it. I think some other sadnesses and possibly an old boot came flying out too. Last night I was lured again by the memory of that release. I watched another episode. But this time I didn’t cry. I didn’t even want to cry. I got cross. The whole ruddy lot of them were weeping and wailing like Gary Barlow had just stabbed some puppies in front of their faces. And he hadn’t. 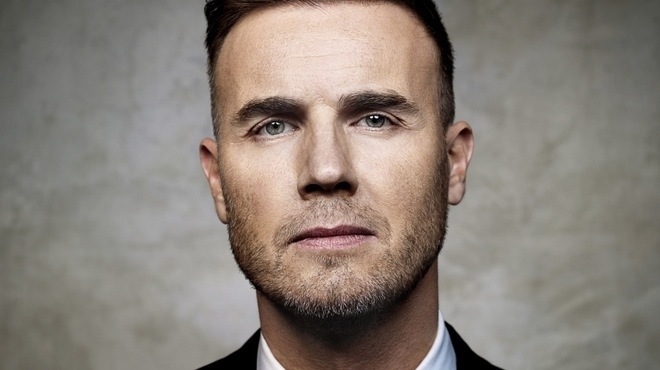 Gary Barlow hadn’t stabbed puppies. These people were crying for themselves. I wanted to puke. It is one thing to candidly share snippets of your life and become momentarily overwhelmed by emotion and adrenaline. I suspect once through the first audition round these guys are kept teetering on the brink by a cleverly prepped production team. Fine. It is what it is. But to publicly wail that you don’t know what you’ll do if you have to go back to your old life, back to your old job, to completely disregard your pre-television existence as entirely worthless, is a deplorable insult to pretty much everyone. It does a dump on the daily routine of most of the country. The people getting up early and earning money from something that doesn’t excite them or make them feel ‘special’. What’s wrong with stacking shelves or working in a call centre? When did it become so bad to be ordinary? When did it become not enough to be made to feel special by the people who know and love you rather than the fickle voters of a heavily constructed show? As long as humans have souls there will always be a cleft between being an individual and being part of a race, but if the pursuit of dreams becomes something that negates our more common mode of being ‘in it’ together, we’ll forget how to be happy together, and we won’t be happy alone. And that would definitely be something to cry about. I cry when car drivers in a traffic jam work out how to make a path for an ambulance or a fire engine. Mainly because I wonder why we can’t be like that more of the time. Lovely piece, my dear – as always.